David Kaplansky, DPM, is a podiatric expert at Kaplansky Foot and Ankle Centers in Columbus and Reynoldsburg, Ohio. He is the son of Dr. Ronald Kaplansky and joined him in 2005. Dr. Kaplansky is a compassionate and energetic physician who’s skilled in the advanced techniques and treatments in podiatric medicine. His stated mission is to improve the mobility of his patients. He’s an expert in bunion correction, sports injuries, foot and ankle surgery, diabetic foot care, and dermatological conditions of the lower extremities. After earning his Bachelor of Science at the University of Wisconsin in Madison, Dr. Kaplansky went on to receive his medical degree from the Kent State University of Podiatric Medicine in Independence, Ohio. He then completed a three-year reconstructive foot and ankle residency at The Ohio State University Wexner Medical Center in Columbus, Ohio. Dr. Kaplansky is double certified both in foot surgery and rearfoot reconstruction and ankle surgery by the American Board of Foot and Ankle Surgery. 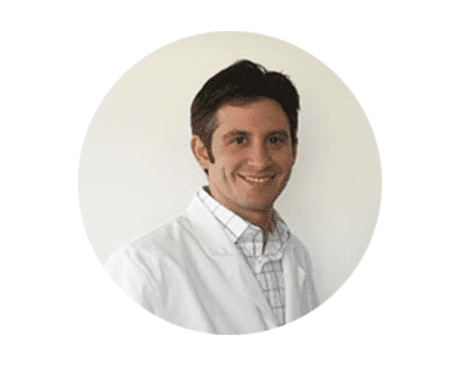 Dr. Kaplansky has a passion for teaching and enjoys the process of ongoing education to be considered a master in the field of foot and ankle surgery. He shares his knowledge and skills as a clinical assistant professor at both The Ohio State University Wexner Medical Center and Grant Medical Center Podiatry Surgery Residency programs.